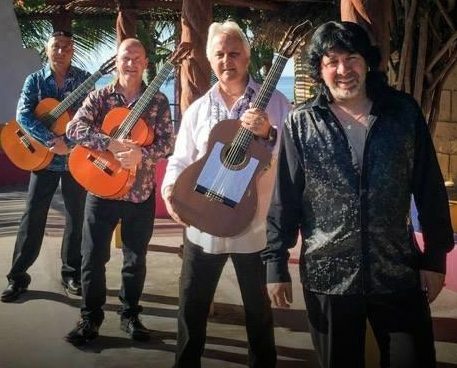 With main singer Nino from the same region as the Gipsy Kings, this tribute band provide the Ultimate Fiesta celebrating the music and the atmosphere of the Gipsy Kings. Guaranteed to get all age groups dancing. 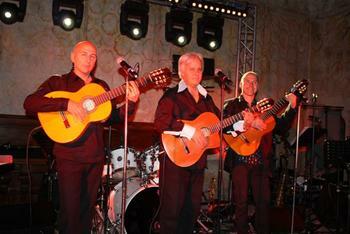 This is the foremost Gipsy Kings Act available anywhere after the Original Gipsy-Kings. The band operate from a UK and French base, with regular performances within the UK, Europe and worldwide. Since summer of 2008, the band have incorporated lead singer Nino from the Carmargue region in France. A Gipsy from the original Carmargue Gipsy families of the area, and as such with a full 8-piece live act, now offer the definitive alternative to the actual Gipsy Kings. 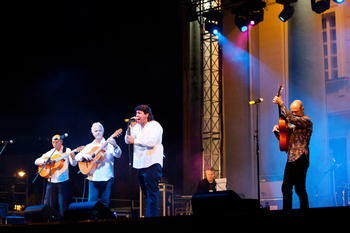 The band perform the full catalogue of the Gipsy Kings including all the hits Volare, Bamboleo My Way, Hotel California. With decades of Live performances worldwide, with a high Profile Client List, the band will delight even the most ardent Gipsy Kings Fan.